#chupacabra | Pineapple Press, Inc. The Lakeside Inn is one of central Florida’s best kept secrets. This modest Inn with its bed and breakfast charm, surrounded by huge canopy trees and resting on sparkling Lake Dora, is a true remnant of a more civilized time and culture from Florida’s past. Originally built in 1883 as a simple 10-room inn, it now offers Great Gatsby–like bungalows situated near the lake, a grand lobby and reception area, and the elegant Beauclaire dining room and Tremain’s Lounge. Guests desiring a brief escape from our fast and weary world will experience a fabulous, yet restful stay here. Although this lovely town offers many restaurants, antiques and variety shops, it’s the Lakeside Inn that serves as the brightest beacon to those venturing to Mount Dora…And apparently, it serves as a beacon for ghosts and other sundry spirits too. 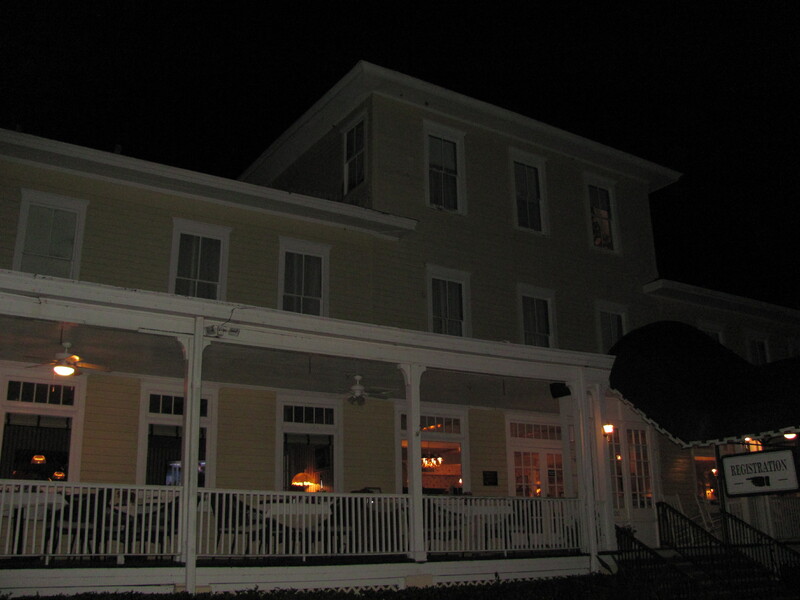 The Lakeside Inn boasts of at least four resident ghosts. Reports of haunted experiences and accounts come from both staff and guests. Two of the spirits haunting the area in and around the Lakeside Inn are young girls dressed in costumes from various time periods. The first apparition is of a girl around the age of nine. She is believed to be Amy, a child who disappeared from the hotel around 1890. She wears a red dress and is seen standing near the lobby fireplace. Another spirit is of a girl around the age of twelve, seen sporting a blue dress, often seen smiling at a dining room table. She has been credited with moving chairs and chandeliers around the property. Another spirit is that of a small man wearing a top hat. He has been witnessed walking through the lounge, and into the restroom, only to then disappear. Finally, there is the specter of a gangster who stares out a gable window. This dapper-dressed gentleman is believed to be the spirit of one of the many gangsters that stayed at the Lakeside Inn during the 1920s. Though he’s not dangerous, he is a bit intimidating to witnesses. Greg Jenkins has close to 20 years working in the mental health and medical fields, and is currently a mental health therapist and case manager with several psychiatric and medical facilities. Since an early age, Greg has had a profound interest in the supernatural and fringe science, and after a personal experience with the unknown in 1987, he began his journey into the realms of parapsychology and all things mysterious. Greg is a folklorist and collector of oral traditions and urban legends, and is an associate member of England’s Society for Psychical Research. He has written a series of books called Florida’s Ghostly Legends and Haunted Folklore and Chronicles of the Strange and Uncanny in Florida. Reach out to Greg on Twitter @HauntedFolklore. His blog can be found at http://psiresearcher.wordpress.com. 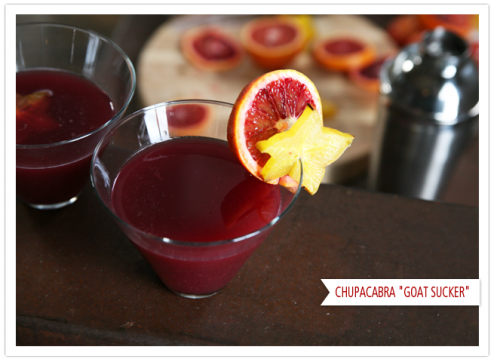 In honor of Valentine’s Day, I thought I’d introduce you to the Chupacabra Martini. I was beyond thrilled to see the links to this yummy looking martini on Twitter from @MuyBuenoCooking and @JoeRayCr8iv and I couldn’t wait to share!! Photo of the martini courtesy of www.MuyBuenoCookbook.Wordpress.com. What is it? Where do you find one? How can you tell you found one? We’re pleased to say you can find out more about the chupacabra during our Twitter author chat with author Greg Jenkins on February 15th at 1pm! 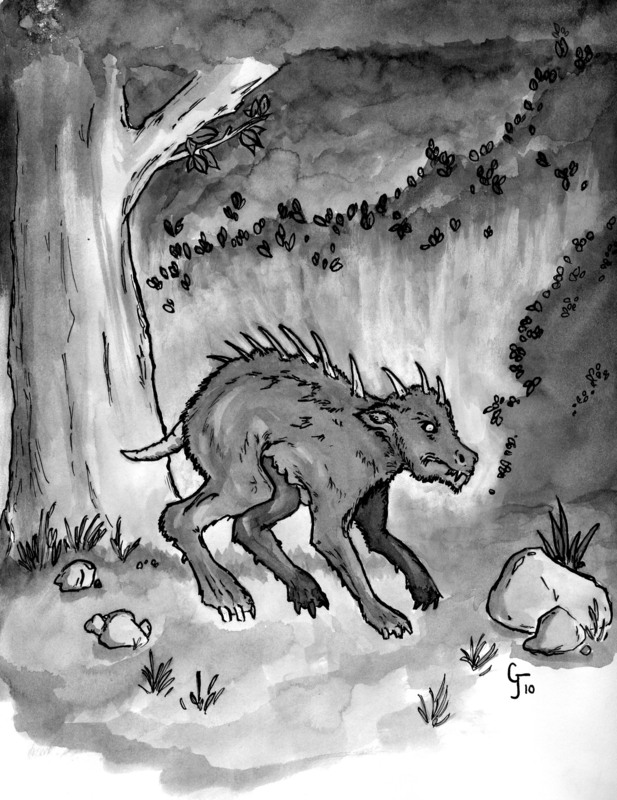 We’ll explore the legends surrounding this creature and share some links and stories about recent sightings. We’re also excited to debut some exclusive drawings during the chat. You can follow us both @pineapplepress and @FLGhostDoc. We look forward to chatting with you using the hashtag #chupacabra. Leave us a comment about what questions you have about the #chupacabra–we’ll be on the lookout.